It's a slow day and I'm being careful with things that my fingers touch today. One never knows, do one? And to think and smack my lips about one of the tastiest of meats? Well, these are dangerous times. Not that there's anything wrong with any of this, the question is are they true (tongue pressed firmly into cheek)? It's one of those cold and rainy November days one has to get through in order to get to a cold and snowy one. The only problem is that it's April 15th and, aside from the icy shoulder of the IRS, warmth is what one thinks of, 25 days into Spring. It is days like this that requires one parking one's backside into a sofa-sized easy chair with a hot tea or coffee within paw's distance and a selection of music in the background of a settling and non-intrusive blend. Something not evoking the chirpiness of spring but rather the hints of a hibernating winter with a touch of an April rubbing sleep dust from its eyes and yawning that rotting odour that precludes an explosion of daffodils. May I suggest Pauseland's Palindrome, available here, if you want to deal with a CD company with a sense of humour and a knack for customer service? Pauseland is a Danish group of young fellows of Danish and Norwegian heritage who seem not to be burdened with ironed clothes nor other acts of conscious public presentation. Instead, their energies are directed into the creation and excellent playing of jazzy (and I don't mean jazzy-like) guitar and horn driven compositions that would sooth the heart of any savage beast. "Laid back" is too intense a moniker to lay on them; their songs and their presentation is more akin to breathing of a meditative nature. In initially listening to Palindrome, one would be wrong in signing these fellows off as polishers of higher level elevator music. The songs all stealthily snake their way into your mind's ear and coil around any tension inside. You exhale with relaxation. You inhale, tasting the air with a new appreciation. 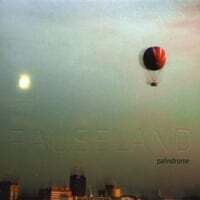 Taking to bed, if you happen to have a CD player or iPod handy, with Palindrome is a slow-motion departure to a restful place. Close your eyes and breath through your eyelids. The havoc of the day dissipates and you, dear reader, are living a calmer life. ...do not do so well in the part of the world known previously as the Land of the Southern Slavs. Throw in some warm weather, the inbred Slavic need for 24/7 tuneage, and thoughts of the summer that will be the best of all Summers (as most Summers tend to be thought of in the preceding Spring) and you're asking for calls to 911. Here's to warming weather and a thinning of the herd. G.M. will be showing off it's "O.K., I get it. It's time for downsizing our Behometh Line" people mover at this years New York International Auto Show, opening up this Friday. Since the show is labeled as International, I wonder if they can incorporate a foreign ad campaign? Maybe something like this campaign, which seemed to advertise the strength of a certain vehicle's suspension system. If G.M. 's going to make it, they have to be radical in all of their approaches, manufacturing and interesting the masses. Play lists for the 3/29/2009 and the 4/05/2009 shows are here. What a gorgeous Sunday it was yesterday. I'm sure the "high 2 figures" numbers of listeners usually tuned in were out gambolling outside (as they should have) rather than cooping themselves inside with a paper and a morning beverage. It's tough competing against Nature. After going through this scorecard, I realized that I haven't been piling up any "Thank You" points. In fact, my non-actions have caused me to go into the negative column. I've bee the appreciative recipient of a few of these letters/ cards recently and can't quantify sufficiently how much a hand-written card in the mail means these days when the e-mail option's so easy. And e-cards? Frankly, I never even bother to open them as there's always some shrill music launched, "Pandora's Box"'s the tune's name, that seems to say, "You're so insignificant that I'll press enter and send you this swill". So, this year, I shall do better. 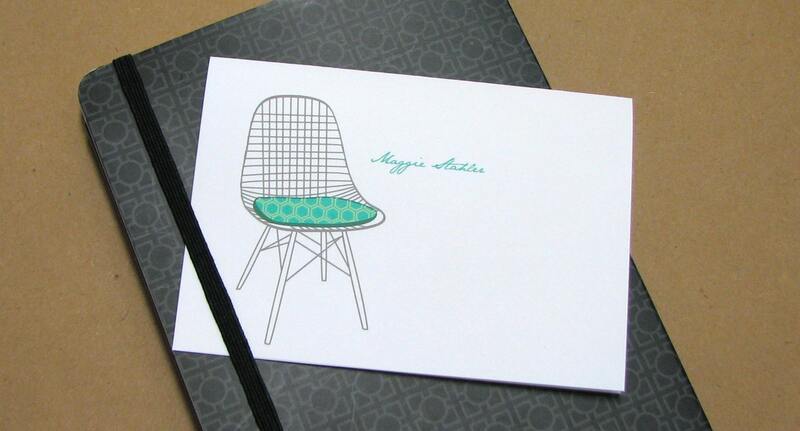 I shall order some fine Thank You stationary and do the proper deed. As a point of recommendation, my Ever Loving Wife has used the services of this card designer and has been quite happy. So, pen to paper and only a minimum of words to let the someones out there know that handwriting is not dead and that all of the stuff piled in your mailbox is not pre-addressed nor immediately chuckable.